When taken good care of devices such as smartphones, tablets, and notebooks will most likely easily outlive their respective batteries, which these days more often than not aren’t user replaceable anymore. With this in mind it is more important than ever to improve both endurance and capacity through the right charging techniques. We’re going to give you a few tips and point out the most common mistakes. Nowadays, most notebooks, smartphones, tablets, and other gadgets like wearables have waved goodbye to the user replaceable battery, and more often than not replacing it anyway means voiding your warranty. Digital cameras sometimes even require special tools to open the cases and once inside you’ll realize the battery is cemented in place. If you want to avoid the quite hefty manufacturer and third party service fees the right charging and storage techniques could help to improve your battery’s life expectancy as well as to reduce its inherent capacitance loss. Unfortunately, the internet is abound with rumors dating back to the days of nickel-metal hydride (NiMH) or even the much older and mostly extinct nickel-cadmium cells (which happen to be not only harmful to the environment but also to your health). Following advice derived from these rumors will frequently have the exact opposite effect on lithium-ion batteries. 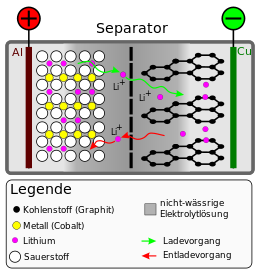 Since lithium-polymer batteries are only a subspecies of lithium-ion batteries the following statements apply to these batteries as well. 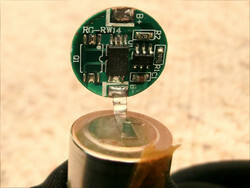 The main difference between lithium-ion and lithium-polymer batteries is their prospective form – the latter can be formed into many shapes, for example curved cylinders. Lithium-ion batteries have been the preferred type of battery for mobile devices for at least 13 years. Compared to other types of battery they have a much higher energy density and thus a significantly reduced weight at identical levels of capacity, a lower self-discharge rate, and are immune to the infamous memory effect. This term describes a phenomenon whereby a battery that has either not been charged or discharged fully multiple times will “memorize” these new lows/highs as its new capacity boundaries. Even modern NiMH batteries can still be affected by this. In order to restore batteries suffering from capacity loss due to memory effect to their full capacity it usually helps to fully charge and discharge them multiple times in a row, which is often referred to as “pumping”. And, coincidentally, is also what you should avoid doing with lithium-ion batteries at all costs. We’ll discuss this in more detail later on. Just like other types of rechargeable battery lithium-ion batteries will age a tiny little bit with each charge/discharge cycle due to chemical reactions inside the cell itself. Thus, manufacturers usually specify endurance in load cycles. Generally speaking, a load cycle is a full cycle of charging and discharging all cells of a battery. If you only run down 20 % of your battery’s capacity and recharge it afterwards this would thus only be considered a fifth of a load cycle. High quality batteries will last for anywhere between 500 and 1,000 load cycles. While only a few years ago the average life expectancy of a battery was around two years improvements in technology and manufacturing have resulted in a much higher average life expectancy of three years or more these days. NiMH batteries have the edge over lithium-ion batteries since they will often last for several thousand load cycles. A battery is considered worn once its actual capacity has fallen to less than 80 % of its specified capacity. When purchasing a new smartphone and turning it on without charging it first the battery will most likely be somewhere between 40 to 70 % charged. Since many devices are stored in warehouses and shops for months before they eventually get to the customer, and due to the fact that manufacturers usually know what they’re doing, we can deduce the optimum charge level for long time storage therefrom. Chemically induced aging processes are running significantly slower at low temperatures. Thus an ideal form of long time storage would be to charge the battery to roughly 60 % and then store it inside a fridge (if necessary including the entire device itself). And while as a general rule of thumb lower temperatures are better putting it in the freezer is a very bad idea. If the battery can be removed from the device we advise you to do so. It’s critically important to avoid a so-called deep discharge, which will unavoidably occur sooner or later due to each battery’s inherent self-discharge. 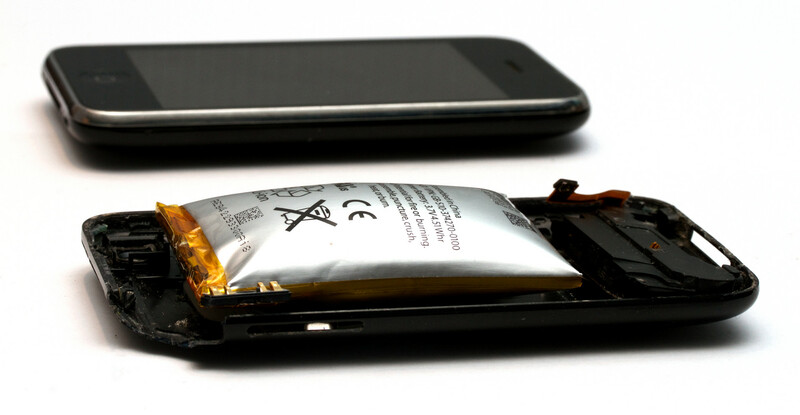 Lithium-ion batteries don’t like extreme charge conditions. This is the most important piece of advice we can give you, and it’s the basis for all that is to follow. Almost all modern batteries will come with a charge controller whose job it is to avoid these extremes, which means that even if your tablet is showing a full battery it will physically only be around 90 to 95 % charged. The charge controller, sometimes also referred to as charge regulator, will also turn the device off long before the battery is empty in order to avoid a deep discharge. If the battery has been fully charged it should be unplugged from the charger as quickly as possible to avoid trickle charging, which will keep the battery at a high charge level and thus also at high levels of stress. If the charge level is at 80 % or more you should avoid recharging the battery before using it. An empty battery should be charged to 30 % or even better 70 % as quickly as possible. If the battery is empty you should avoid charging it to only 20 % and then using it. When getting a new device it’s not necessary to charge the battery before using it or to go through multiple charge/discharge cycles, which is often referred to as “conditioning”. Lithium-ion batteries are already at peak capacity out of the box. Charging slowly will usually increase life expectancy. Rule of thumb: the lower the temperatures while charging the gentler the process. However, if you don’t plan on using your battery for more than two years you don’t have to pay attention to this. It can be beneficial to go through a full discharge/charge cycle every couple of months. While this doesn’t affect the battery per se it helps the device to recalibrate its battery capacity meter. The closer the battery gets to 100 % charge the slower it charges: the charger is actively reducing the current to go easy on the battery cells. However, since these final few percent put a lot of stress on the cells, batteries also tend to get much warmer at the end of the charge cycle. The number of charge cycles doesn’t affect battery life, only load cycles do. Thus, wireless charging to top up regularly during the day won’t have any detrimental effect on your battery. The original charger should always be your first choice since it has been adjusted and calibrated for the device and/or battery in question, and is also going to ensure adequate quality and optimal charging rate. When purchasing third party chargers we advise you to look for quality instead of price – a few dollars saved can leave you with a damaged device. 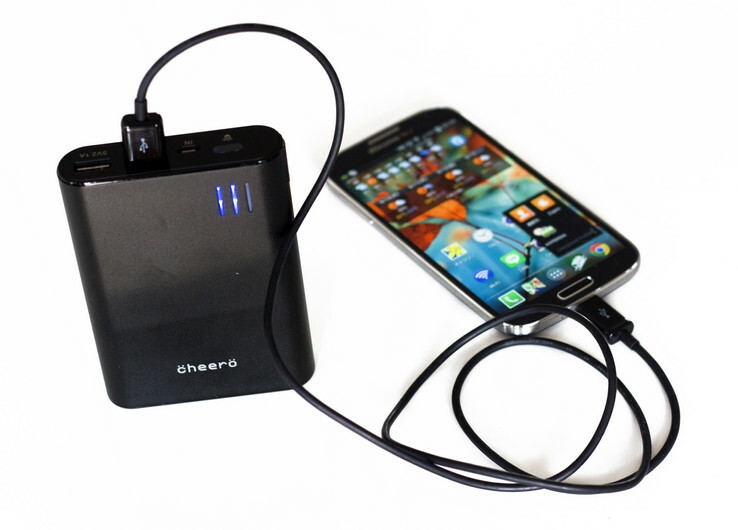 A high quality charger that is strong enough to charge your smartphone, notebook, etc. can be used regardless of its actual wattage: the battery’s charge controller will limit the draw to suitable levels. Thus, a lower power charger will charge the device slower while the charge rate can usually not be increased any more over the stock charger. 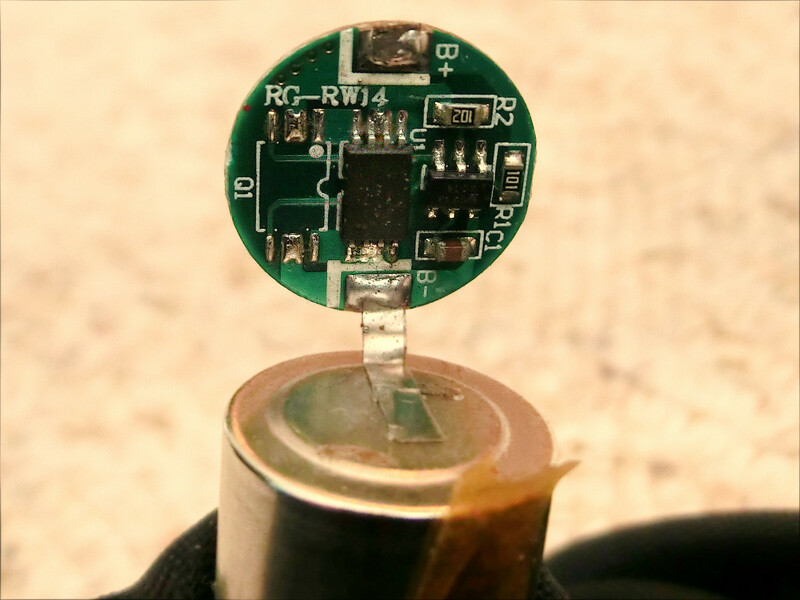 A lithium-ion battery's temperature comfort level is between 10 and 40 °C (50 – 104 F), and it should not be charged or used for prolonged periods of time outside of that temperature range. Charging a hot battery or discharging a cold one is particularly harmful. Thus, leaving your phone in the car in summer or winter can result in significant capacity loss or even a leaked or exploded battery. Lithium-ion and lithium-polymer batteries should be kept at charge levels between 30 and 70 % at all times. Full charge/discharge cycles should be avoided if possible. Exceptions to this can be made occasionally to readjust the charge controller and battery capacity meter. Modern batteries do not have to be conditioned, and are at peak capacity out of the box. If you need to store batteries for long time periods you should charge them to roughly half their capacity and put them in the fridge. Very high and very low temperatures should be avoided, particularly while charging. When choosing a charger quality is key, and high quality chargers are by and large interchangeable. In practice these rules cannot possibly all be followed. Power users will have no choice but to fully charge their device to get through the day and in the evenings the remaining battery life will be close to null. Nobody charging their device at night is going to set an alarm to make sure to unplug it at 70 %. Yet following these basic guidelines is not only going to have an impact on your finances but also the environment at large. At any rate, yours truly has been doing pretty well with these tips for many years now.